Memorial University and the Nunatsiavut Government are collaborating on a $7.4-million project to lead a five-year research initiative that will merge collaborative academic research with traditional knowledge for the protection, preservation and revitalization of Labrador Inuit culture and language. The project is supported by a Social Sciences and Humanities Research Council (SSHRC) partnership grant valued at $2.3 million; investments of $1.6 million from the Nunatsiavut Government and $1.38 million from Memorial University; and $2.12 million in combined contributions from 20 partner organizations. The project, Tradition and Transition Among the Labrador Inuit, is led by Dr. Tom Gordon, professor emeritus, School of Music, and a musicologist with a long history of engagement with Labrador Inuit culture. The initiative will bring together more than 30 Inuit tradition-bearers and academic researchers across Canada and the U.S. to examine and explore factors that are critical to the sustainability and revitalization of the Inuit culture and way of life. Twenty institutions and organizations will be collaborating on 49 sub-projects within the broader initiative. 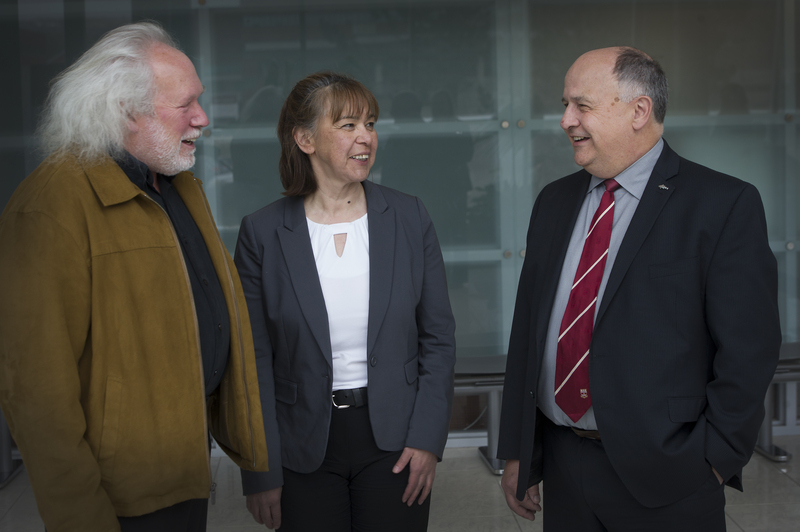 Researchers will collaborate to develop a profound understanding of the Inuit culture through three themes: a relationship between people and their environment; a pattern of leadership; and a legacy of expressive culture, starting with a unique language. The knowledge gathered may be used to identify strategies to stimulate cultural economy and explore activity that will support the Labrador Inuktitut as a living language integral to Labrador Inuit cultural identity. The findings of the project will offer insight to infuse into cultural programming, support educational curricula and develop governmental policies. Each of the sub-projects will enhance understanding of the identity of the Labrador Inuit in order to strengthen Aboriginal self-governance and build a sustainable Inuit society for the future, rooted in Inuit values in Nunatsiavut and across the circumpolar world. Memorial and the Nunatsiavut Government will also work together to build a comprehensive digital database that will capture the findings of the project. This data will be accessible to Inuit communities, the public and other academic researchers. The database will be housed at Memorial University’s Queen Elizabeth II (QEII) Library. In addition, cultural knowledge revealed through this project will be showcased at Illusuak (which means “sod hut” in Inuktitut), Nunatsiavut’s new cultural centre currently under construction in Nain. “This is a proud day for Memorial University and our province,” said Dr. Gary Kachanoski, president and vice-chancellor, Memorial University. “This research partnership will open doors for Inuit communities in the future and serve as a stepping stone for many meaningful partnerships. I offer my sincere congratulations to President Sarah Leo, the Nunatsiavut Government, Dr. Gordon and the many researchers, tradition-bearers and community members who will make a difference with this initiative." The project’s research agenda was developed through more than 50 consultations held in each of the five communities in the Labrador Inuit Settlement Area and Upper Lake Melville. These consultations gathered direction from tradition-bearers, Inuit community government leaders, elected Nunatsiavut Government officials and staff, heritage organizations and individuals.From Oct. 25-28, Dr. Gordon and the research team will be in Hopedale, Labrador, rolling out the project at the Nunatsiavut Heritage Forum, an annual gathering of community leaders and heritage workers from across Nunatsiavut.